Pokémon Go continues to be as inescapable as humans themselves. That's maybe why the Facebook page Pokémon of New York works so well. It's a straight-faced parody of the wildly famous Humans of New York page where photographer Brandon Stanton takes portraits of New Yorkers and asks them to tell him a little bit about their lives, creating an intimate portrait of a city through the individuals that live there. David Wardell's Pokémon of New York posts portraits of Pokémon in New York City, where they reveal a little about themselves, experiencing the same difficult balancing acts in their daily lives that real New Yorkers perform. The stories range from touching looks at transplanted, anxiety-ridden Pokémon looking to find their way to Pokémon who are just struggling to balance their desire to be in the city with the rising cost of living. 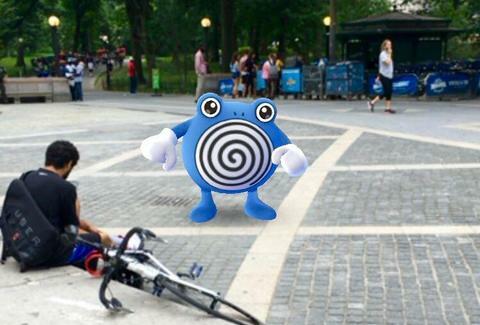 “I created Pokémon of New York in an attempt to raise awareness that life in this city can be rough for Pokémon trying to make it on their own,” Wardell told the Daily Dot. “They’ve got dreams, they have families, and above all, they have heart!” The stories sound an awful lot like the stories New Yorkers tell on Humans of New York, making for a great parody of that project and Pokémon Go. If you're a Pokémon looking for some catharsis, a sense that you're not alone out there in a big, bad world full of phone-wielding humans looking to capture you — and for what?! — then maybe Pokémon of New York can provide a momentary respite or a laugh.